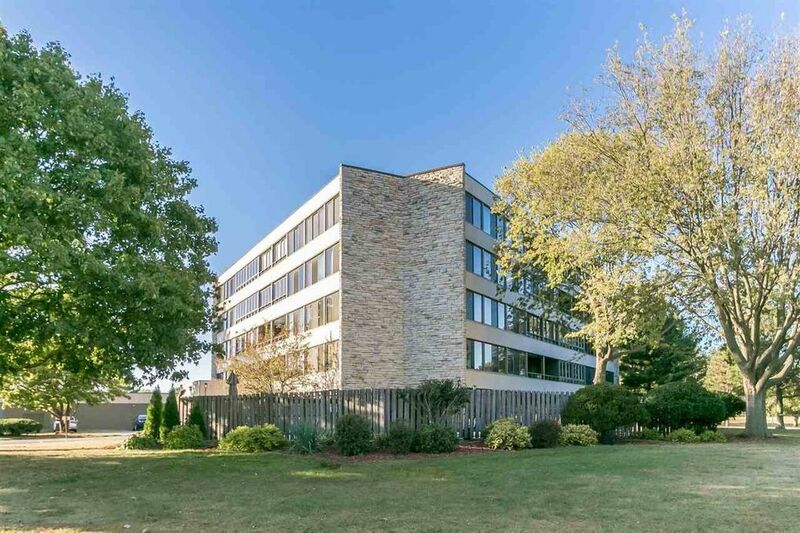 Iconic, mid-century modern building surrounded by golf course with park-like setting. Lovingly maintained 4th floor condo with convenient one level living. Well-equipped kitchen with solid surface counters and new ss refrigerator; dining room with built-in cabinetry; bonus area converted from 3 seasons porch; master bedroom with en-suite full bath; study/sitting room; laundry room with new washer/dryer & new water heater. Abundant storage with custom wood built-ins. $10K decorator allowance.